Healthy digestion shows healthy diet. These days you can often hear people saying that their stomach is not right and they have problems of gas or constipation. Such people have caused due to many harmful intake of food. Digestive problems are two reasons: 1) Following food fashion 2) Taste for tongue. 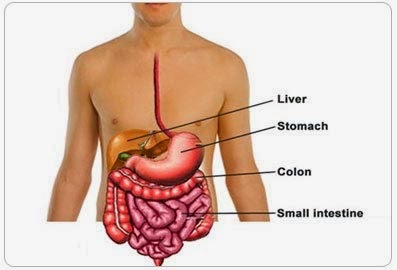 Bad digestive system indicates that you should change your food habit. Otherwise you may face many difficulties such as migraine, stress, depression, joint pain, itching, pain etc. White Bread: Usually, people eat bread at breakfast in the morning. It would be beneficial if you avoid white bread. You should use brown bread instead of white bread. It does not have flour. Pasta: You want to eat pasta whenever you heard its name but the stomach seems to be carrying tension. There is high amount of flour in pasta and stomach does struggle to digest. If this is not digested easily then you may have terrible stomach pain. Red Meat: People believe they get strength from the red meat but one uses more power to digest it. Stomach spends all energy to digest it. However, it is used in high amount in sausage, hot dog and burger. You may face digestion problem as it has high amount of fat and sodium. Chocolate: A small chocolate in a day can create digestion problem. Since chocolate contains caffeine which gives energy to the body but stomach face difficulty to controls the other property. Alcohol: Consumption of alcohol directly damage to the cells of the stomach. It creates problem in digestion of the food. Coffee: Coffee contains caffeine. It released the hormones which removes stress but if effects on immune system and digestion system. Dairy Products: Dairy products are high in the amount of lactose. At time it seems to be abdominal pain. If you often abdominal pain and you do not take any of the above things then you should avoid consuming milk and milk products. Chili Pepper: Our tongue likes taste of chili pepper. But our stomach gets pain. Fried Foods: Large quantity of oil reaches in stomach by eating pie, fritters which creates difficulty for digestion. Sparkling Water: All drink contains acids which disturb the inner working of the stomach.